We began manufacturing window regulators more than 70 years ago. Sector gear regulators are one of our original parts line-up and made us who we are today! Used mainly in older models of heavy truck and heavy equipment, we can manufacture sector gear regulators for manual operation of windows or in 12 or 24 volt electric. This is a more economical part that does its job and does it well. 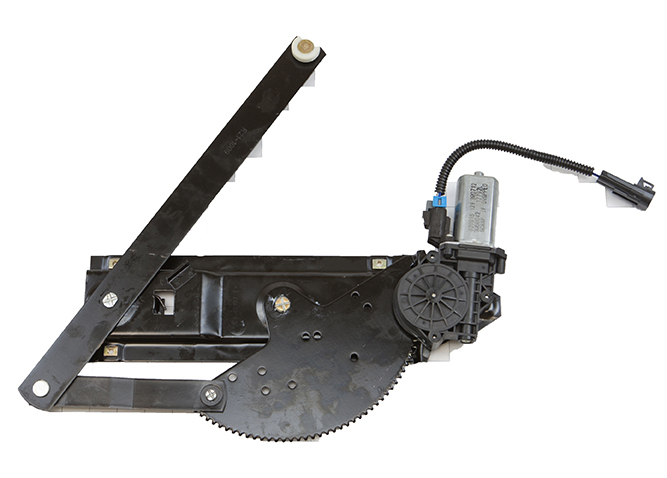 It is made for bigger door modules and has a shorter reach than our cable drive regulators.